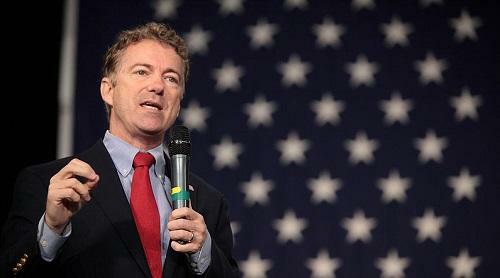 Comedian Stephen Colbert caught Sen. Rand Paul (R-Ky.) off guard late Wednesday night, joking about marijuana. “You’re not going to talk about pot, are you?” the GOP presidential candidate asked Colbert when the late-night host quizzed him about drug policy reform. “I thought we said before we would not talk about pot, Stephen,” Paul replied, wiping his brow with a kerchief.“You tried to sell me pot backstage,” Colbert quipped.